This little snowflake was a hit...very convincing. Little small but very beautiful! Love this little Guy.... can be worn for a formal or casual affair, and it just sparkles away. Quality piece! I love it! It is Small, but don't let that fool you! It sparkles like a bright star in a dark night! 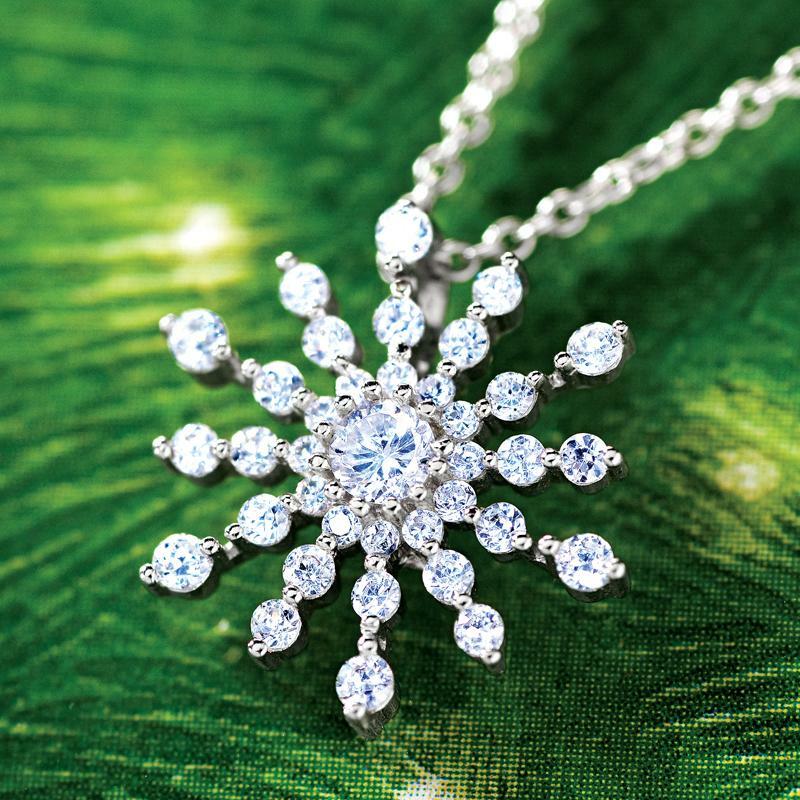 There's lots of sparkle in this little snowflake. An excellent buy! This is cute and very sparkly. This would make a great gift for a daughter or granddaughter. Enough debate! We can’t solve the Global Warming crisis by talking about it. Adding more hot air only makes the problem worse. That’s why we’ve decided to DO something instead. This holiday season, it doesn’t matter if you live in the frigid North Woods of Minnesota or the scorching desert outside Tuscon… you’re getting SNOW. That’s right. Stauer GUARANTEES a White Christmas! Think you’ll get that kind of commitment from the TV weatherfolks? Not likely. 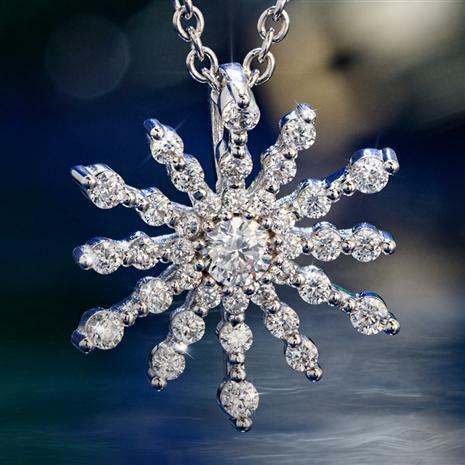 Lock in your forecast today by calling and we’ll send you this sterling silver DiamondAura® Star Snowflake Pendant for an amazing price! And just like snowflakes, the sparkle of each is uniquely spectacular thanks to the brilliance of our exclusive, DiamondAura rounds! Each fiery spire radiates from the center to create an eye-catching display of glamorous geometry. This is the snowflake that never melts and the only one created at incredibly high temperatures of nearly 5,000˚ F. Thanks to advanced science, you can wear a full half-carat of impeccable DiamondAura® (with even more fire than mined diamonds) without the outrageous cost. Perfect for adding a touch of winter wonder to any occasion!